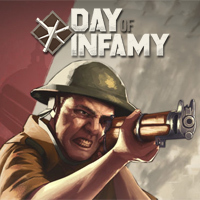 New World Interactive has announced a Steam Free Weekend for Day of Infamy beginning Thursday April 26th at 1pm EST, lasting until Monday April 30th at 1pm EST! This is a perfect time to try out the game if you’re a longtime Insurgency fan, and a perfect weekend to play with your friends! Our last free weekend was a huge success with over 200,000 new players joining battle over the 3 days, and this year we’re looking to make it even bigger and better! Watch the Day of Infamy Free Steam Weekend Trailer HERE. We’re extremely proud of our community, which won ModDB’s Community Award for 2017. It’s with your help we can make this event a success! Order of Battle: Sandstorm is the new DLC for Order of Battle. It brings the series to North Africa for the first time, putting you in the shoes of Erwin Rommel, the Desert Fox himself, commander of the Axis forces in North Africa between 1941 and 1943. In Sandstorm, the upcoming new expansion for Order of Battle, the Italian army obviously plays a very important role. As commander in chief of the Axis forces in North Africa, you will be leading a joint army of German and Italian troops. The DLC’s developer The Artistocrats have released a glimpse of the Italian Armed Forces focusing on some of the new units available to Italy in Order of Battle: Sandstorm. New screenshots are shared too! Visit this Matrix Games news page and take a look! Typically, you don’t just add a CLC to a graphics card, but NZXT designed the Kraken G12 bracket for just the occasion. Of course you need a compatible CLC in order to make it work, and that’s where Arctic comes to play. 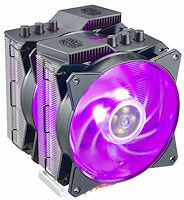 I’ve looked into finding what I thought would be the best CLC for the purpose of using on a GPU, and my research led me to choosing the Liquid Freezer 120. It was pure speculation at the time, but the combination of two included fans, an extra thick radiator, and a convenient 120mm size seemed like the perfect fit. You can download the new GeForce 397.31 WHQL drivers from GeForce Experience and GeForce.com. TechPowerUp! is reporting that numerous GTX 1060 owners have reported on the official NVIDIA forums that they were unable to complete the installation of the 397.31 drivers. Users were prompted to restart their systems to complete the installation process, but once they have done so, they were presented with the exact screen over and over again putting their systems into an endless restart loop. While NVIDIA is investigating the bug, GTX 1060 owners are encouraged to roll back to a previous version of the drivers as a stop-gap solution. The workaround consists of rebooting the affected system in safe mode and running Display Driver Uninstaller (DDU) to completely remove the 397.31 drivers. Users can then proceed to install the previous 391.35 drivers normally.